We offer Single Payment or Regular Update Packages. To get started click the Purchase button below or call us on 0800 0112 123. The packages below include refreshing all messages 2, 4 or 12 times per year. The above costs are based on the number of updates you wish to make over a 12 month period. All our packages are a minimum of 12 months, at the end of the initial 12 months the contract changes to a 30 day rolling contract with 30 days notice. 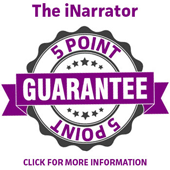 If you do not wish to continue with your contract we allow you to keep using the audio we have supplied during the contract as long as payment has been made in full - this is unique in the industry. Very competitive pricing which ensured we got a high quality service but weren’t over sold for services we didn’t need or would never use, also no hard sell. The audio messages present us as a professional company and also highlight the vast range of services that we offer. Clients aren’t always aware of the full range of services so this is an ideal channel to communicate this message. We like to keep the order process as simple as possible, call us on 0800 0112 123 for a free initial telephone consultation, then we'll do the rest. Full details of the order process are below. The next step is to understand your business, products and services, for us to get a clear idea of how you operate and what your customer base is. Once the On Hold Audio is complete, approved and paid for, you'll have access to your files online via our client area, so you can access your files anytime of day or night and share with your telecoms company. Call us on 0800 0112 123 to get the ball rolling.